Gamingslots began life back in August 2012 by Brian Wilkinson, who wanted to create a useful resource for fans of video slots. He had grown tired of doing countless searches online for slots he was interested in, only to find poor quality or out of date information. Brian saw a gap in the market and set about creating a site where slots players could access lots of information about their favorite slots, as well as free play versions of the games and watch videos that explained them more clearly. From its humble beginnings when the site only had 20 or 30 slot reviews from 4 or 5 slots developers, the site now boasts over 1000 slot reviews from over 24 different slots developers that include both desktop and mobile games. As well as this Gamingslots has a busy video channel, with countless bonus videos and educational material for players. The team at Gamingslots has grown from just two to seven, with writers, graphic designers, video editors and a web developer. The company is set to grow further having seen considerable growth in visitor numbers as more and more slot players find out about the website. To achieve this is going to take a lot of hard work, but we have a great team here at Gamingslots, so we are very fortunate in this respect. We have yet to total up exactly how many slots games are available online and on mobile, but a wild guess would be around the 3000 mark! Therefore we have quite a way to go, but we are not going to stop before we reach this target. What is Gamingslots and why should I join? 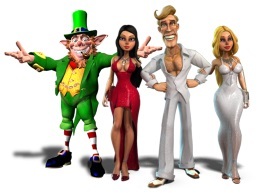 Gamingslots is not a paid for service, nor is it a casino, so you do not have to spend any money to use the site. However it makes sense to register an account so that you can gain full access to the site without limitations. This makes the whole experience much more fun and allows you to interact so much more. 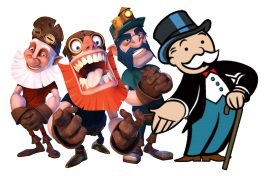 There are countless resources here at Gamingslots for slot game enthusiasts – from facts and figures to in-depth analysis and all the latest news. So come join the growing number of people registering and becoming a fan of Gamingslots. To register an account is very easy. Simply visit the registration page here and choose to sign up with a social media account of with your email address. You do need to be over 18 to register as clearly stated in the Terms and conditions of this website. Once registered you will then be able to access your account by logging into the site. This will give you access to all different parts of Gamingslots that are not available to those without an account. We hope you enjoy your experience with Gamingslots and if you have any questions then please don’t hesitate to get in contact.